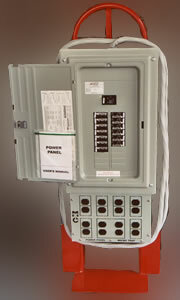 GFCI Protection: 20 ampere, class A – 5 MA circuit breakers. 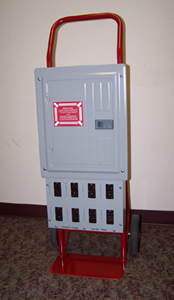 LOAD CENTER: 120/240 VAC single phase NEMA-type 1, 100 amp main breaker. CIRCUITS: Eight (8) 20 amp 120 VAC, 3 wire grounded with circuit breaker. RECEPTACLES: Eight (8) duplex, class A GFI, UL 498 & 943 compliant. OPTIONS: 240 Volt 30 to 50 amp circuit Weather protected NEMA 3 or waterproof NEMA 4 version available.